This entry was posted on February 18, 2013 by joeleagle. 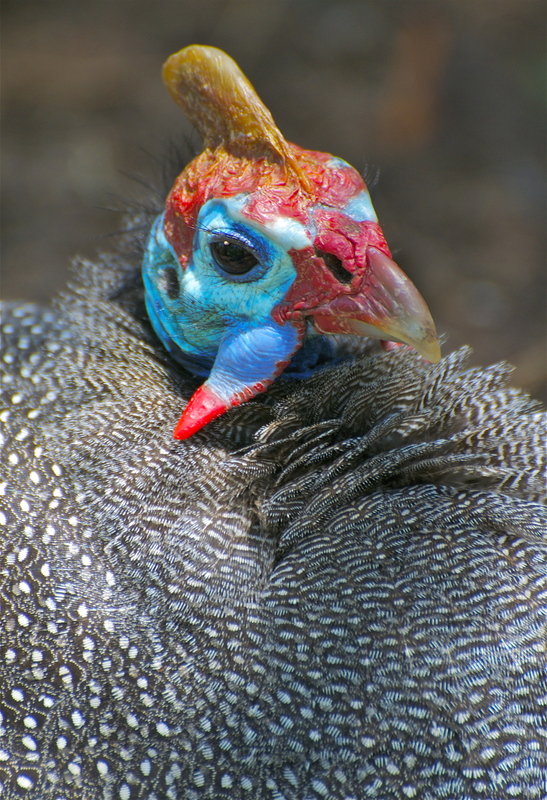 It was filed under Birds and was tagged with Guinea Hen, Guineafowl, Helmeted Guinea, Kirstenbosch National Botanical Garden, Numida meleagris. Stunning shot, Joel. It really does look like the bird is wearing a removable helmet. I remember visiting a military museum with all kinds of ancient armor and the armored helmets were no less strange-looking than this one. Looks like he’d be good on whole wheat with mayo. Not the prettiest of faces, but eyelashes to die for.